A woman has now been charged with the murder of a toddler found partially buried in a North Philadelphia park earlier this week. 33-year-old Nyishia Corbitt was arrested in connection with the death of 1-year-old Alina Barnes. Corbitt was charged with murder, possession of an instrument of a crime, false reports, tampering with evidence, obstruction of justice, and abuse of a corpse. Barnes' body was discovered in a wooded area in Kemble Park near Ogontz and Olney Avenues on Tuesday morning, 10/16. She had been reported missing on Monday night and Corbitt led police to the park. However, police say that the toddler died from suffocation a week prior on October 9th. "Last Tuesday, on Oct. 9, it shows surveillance video of Ms. Corbitt exiting 5600 Ogontz Avenue, carrying the child who we believe already had been deceased in a child carrier. 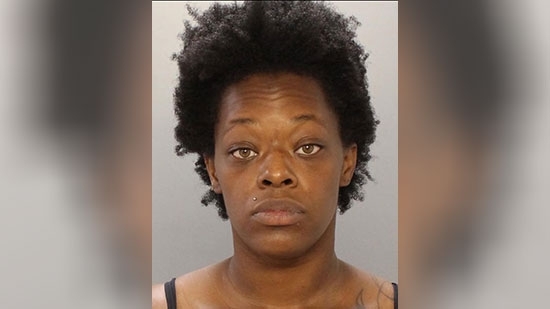 Ms. Corbitt then takes the child into the park area off of 16th and Olney and returns to the apartment complex," said Philadelphia Police Capt. Jack Ryan. Corbitt had been taking care of Alina for a few weeks. Corbitt has two children of her own with Barnes' father. He was not aware the child was missing. Barnes' mother is in Montgomery County prison on retail theft charges. Police have not released a motive. The U.S. Justice Department has opened it's own investigation into child sexual abuse at the hands of clergy in the Roman Catholic Church in Pennsylvania. Grand jury subpoenas have been issued for dioceses in the state including Philadelphia, Allentown, Harrisburg, Scranton, Altoona-Johnstown, Greensburg, Erie, and Pittsburg. Federal prosecutors are seeking an array of documents and evidence. They also want to hear testimony from church leaders. This investigation follows the Pennsylvania state grand jury report released over the summer that identified 300 priests and over 1,000 victims over several decades. Only two priests were charged because of that report due to the statue of limitations. U.S. Attorney William McSwain of Philadelphia, who issued the subpoenas, wants to know if priests, bishops, seminarians or others committed any federal crimes. Montgomery County officials raided a home in Upper Hanover Township on Thursday, 10/18, and removed over 250 animals including snakes, skunks, and alligators. Montgomery County SPCA executed search and seizure warrants at the home on the 1000 block of Station Road. They found over 100 snakes, three alligators, several dozen guinea pigs, dozens of turtles, two skunks. There were even some very large tortoises roaming around. On Monday, officials from the Lehigh County Humane Society and the Lehigh County SPCA raided a home in Macungie owned by the same couple. They removed 100 animals from this location including dogs, rabbits, exotc birds, pigs, snakes. There was even a 15-foot constrictor. The investigation continues.